There is something about dinosaurs that capture the imagination of little ones. Mr Boo and I would always laugh that Tigger couldn’t say certain words but ask him to pronounce a dinosaur name and he could say it perfectly. Learning through play is the best way to get children to have fun whilst subconsciously taking in knowledge at the same. Jigsaw puzzles are a great way to do this and help with their fine motor skills too. 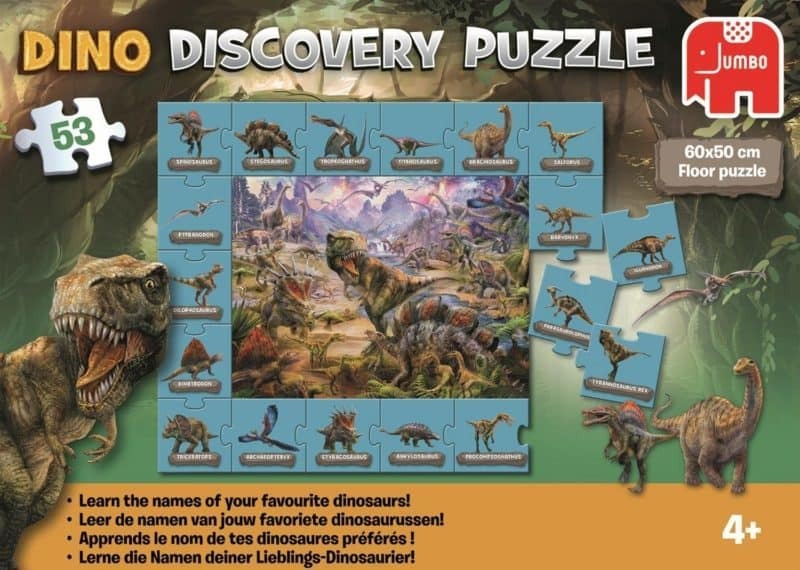 The Dino Discovery Jigsaw Puzzle is the ideal gift for everyone interested in Jurassic period and wanting to learn more about dinosaur species. The image of the jigsaw puzzle is of a vast landscape crowded with varied dinosaur species in a mountainous Jurassic setting. Firstly you need to complete the 35 piece puzzle. Then add the 18 extra-large pieces to create the border, which features names and imagery of all dinosaur species seen in the main image. The Dino Discovery Jigsaw Puzzle is priced at £7.99 and is available to buy from Amazon and all other good toy retailers. 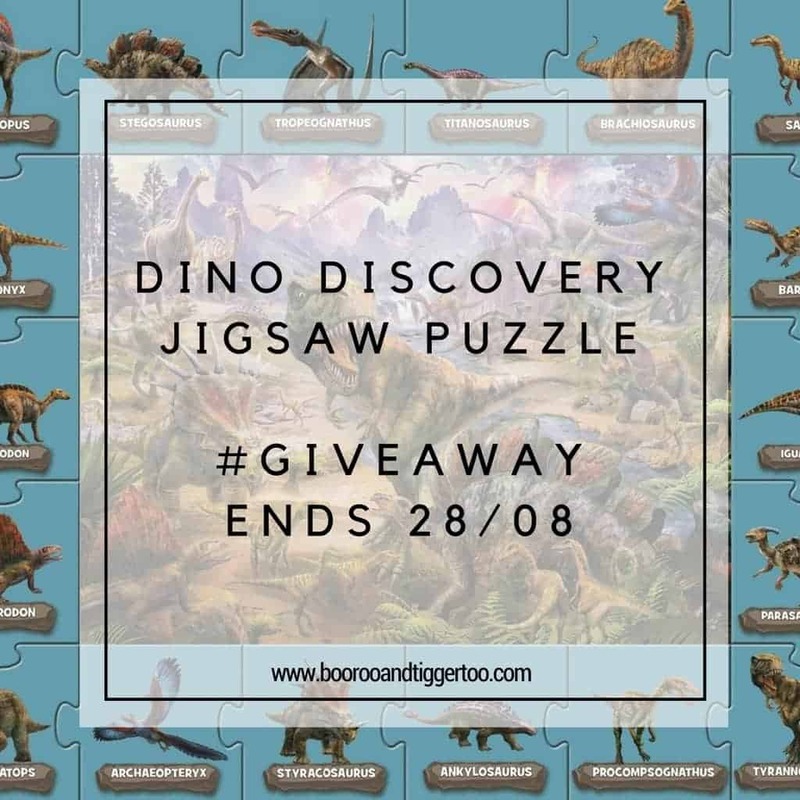 Boo Roo and Tigger Too have one DINO Discovery Jigsaw Puzzle to giveaway to one lucky reader.